The procedure of desloughing a wound, can be difficult for clinicians (removing slough without pain and avoiding bleeding) but also unpleasant and painful for patients (manual debridement, bleedingai??i??). 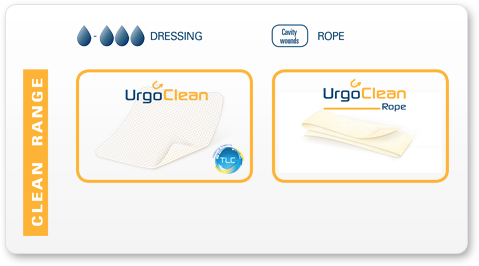 For this reason, Cost of wellbutrin in australia Urgo Medical has developed UrgoClean, an innovative solution, which prepares sloughy and exuding wounds effectively and efficiently to improve healing.Ai?? When in contact with exudate, the hydro-desloughing polyacrylate fibresAi?? gel, swell and bind to the sloughy residue within the wound, Generic for zestril absorbing and draining it to aid elimination (autolytic debridement). The creation of this gel in contact with the wound, maintains a moist environment, which promotes the healing of desloughed areas and traps exudate preventing any lateral diffusion. TLC also promotes fibroblast proliferation in desloughed areas. Organic mercury (Mercryl LaurylAi? ?, DermachromeAi? ?, MerfeneAi??) or hexamidine(HexomAi??dineAi??) antiseptics and hydrogen peroxide (Oxygenated water). 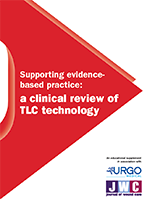 Supporting evidence-based practice: a clinical review of TLC technology Evaluation of two fibrous wound dressings for the management of leg ulcers: Results of a European randomised controlled trial (EARTH RCT) Ai?? Results: Fifty patients with either a VLU (n=35) or a PU (n=15) were recruited. At baseline, mean wound surface area was 11.9 Ai?? 11.3 cm2 and 12.5 Ai?? 10.7 cm2, with a mean duration of 8.3 Ai?? 6.4 months and 2.9 Ai?? 3.0 months in the VLU and PU groups, respectively. Wounds in both groups were covered with more than 70% sloughy tissue, and the peri-lesional skin was considered to be healthy in 19 patients. By 6 weeks, mean wound surface area reduction in the VLU and PU groups was 23.7% and 29.2%, respectively, with full healing in 6 patients. All treated wounds were considered to be debrided by week 3 (< 40% slough for all wounds) and the median relative decrease of the sloughy tissue, at week 6, in the VLU and PU groups was 75% and 89%, respectively. 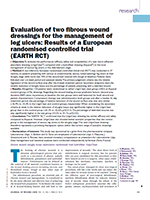 Dressing acceptability was documented as being very good for both patients and nursing staff, particularly conformability and ease of use, with no residue left on the wound bed at dressing removal and the dressing also remained in one piece. Seven local adverse events were deemed to be potentially related to the trial dressing.